Liberty Building Forensics Group | Campus Community Management Firms, Beware! the Last Man Standing Could Be the Loser! An increasing number of legacy buildings, including aging student housing complexes, are experiencing water intrusion and mold-related damage that can be traced back to fundamental design and construction defects. The buildings have experienced water intrusion that, in many cases, results in hidden damage to the structure. While there may be some signs of the water intrusion inside the student apartments, the damage may not be obvious to the management firm. Unfortunately, by the time the damage is found, the statute of limitations for original designers and contractors is long gone. As a result, the buck often stops with the liability insurance of the current student housing management firm. This firm will be considered the last man standing. Regardless of where the root problem originated, management firms are being held responsible for these defects if they haven’t taken steps to protect themselves. Managers of older student housing complexes who find themselves in this precarious position should understand the ways to manage their risks. In order to observe if defects and damage was present, the envelope had to be deconstructed. 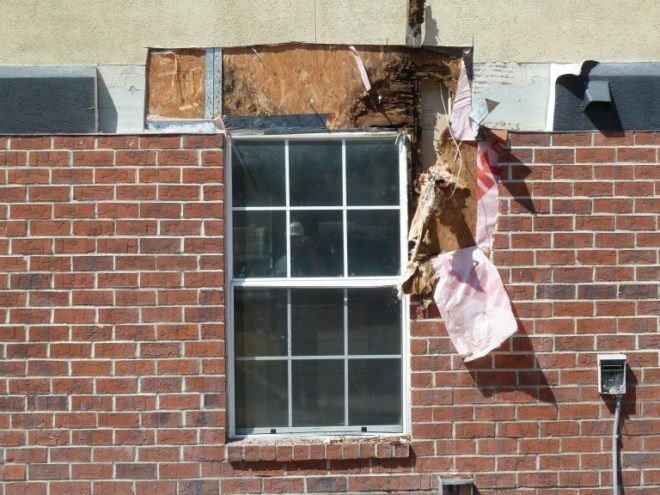 In this case, an improperly lapped window flashing diverted water directly to the OSB sheathing, bypassing the waterproofing protection of the envelope. Through a series of acquisitions, one of the largest student housing management companies in the country took over the management of a 30+-building university housing community. The entire complex underwent a $50M+ reconstruction when significant water intrusion was found to have resulted in deterioration of the building structure, and HVAC/plumbing system moisture and humidity was found to have resulted in large-scale hidden damage, including mold. Because of the age of the buildings, the only party left from whom the owner could pursue recovery was the property management firm. The property manager faced not only liability in the high seven figures from reconstruction costs, but also likely liability related to nine figures of potential bond default that had been issued to underwrite the project. At the eve of trial, however, the property management firm agreed to pay a low seven figures to settle the case. Not until full removal of the brick, decorative band, and stucco was the defect observable by the property management firm (or by anyone else for that matter). Many contracts student housing management firms have with their clients include terms that are intended to protect them from original design or construction defects, deficiencies, errors or omissions in workmanship. After all, how can a property manager be responsible for defective work that was not managed by his firm, especially in the original design and construction of the buildings? In this case, there were no clear indications of the impact that hidden design and construction defects were having on the buildings. 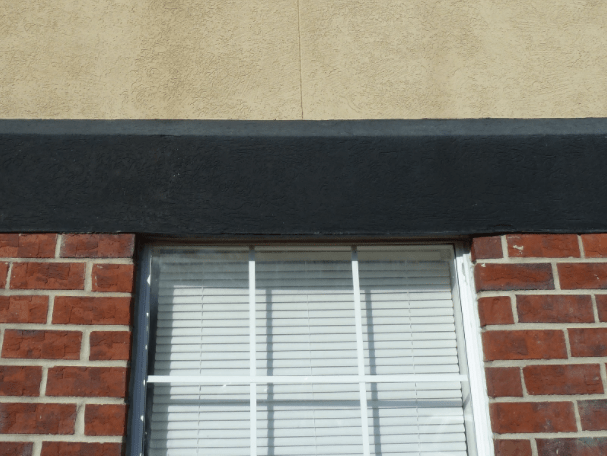 The improper flashing conditions that resulted in water intrusion bypassing waterproofing and causing deterioration of the underlying structure were buried below multiple layers of brick, stucco, and building water-resistant wrap. Both the defects and the underlying damage were observable, but only when and if the exterior envelope was exposed by deconstructing each layer and exposing the sub-structure. Every property and property management firm has a work order system deployed. These work orders capture items the occupants have reported to management that need attention. Usually, work orders are a good indication of problems in the buildings that may be recurring. 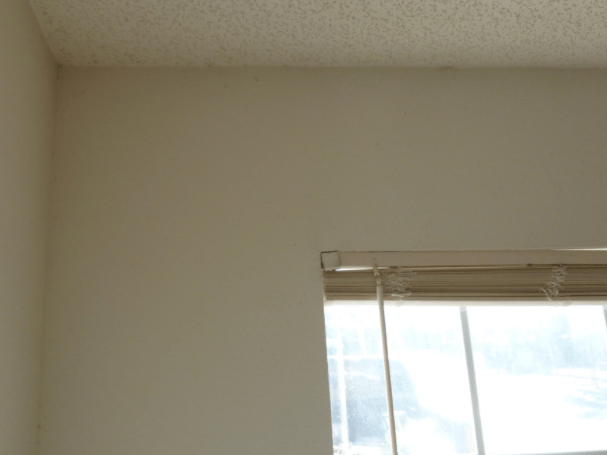 After all, who better than the occupants who live in the apartments on a 24/7 basis to know intimately if there are problems in their living quarters, especially if there are systemic defects that have resulted in widespread water, deterioration, and mold damage. However, because the damage can be hidden and not readily observable from either the exterior or the interior, work orders do not always provide an accurate picture. Even if the property undergoes regular analysis of work orders to determine patterns that may indicate problems, it is not correct to assume that this analysis will show that there are effects from original design or construction defects in the building envelope. Nor will the work orders show that there is underlying damage from water intrusion, including structural deterioration and mold inside the walls. 4,727 (or≅12%) were related to HVAC. Then, from those 4,727, approximately 473 (10% or 1.2% of total) were related to cleanliness, odors, condensate overflow, and possible moisture damage. 4,462 (or ≅12 %) were related to miscellaneous. Then, from those 4,462, approximately 178 (4% or 0.5% of total) were related to odor, water intrusion, and possible moisture damage. 521 (or ≅ 1.4% of total) were related to water (specifically related to leaks, odors, and stains). 471 (≅1.2%) were related to the windows. Then, from those 471, approximately 160 (≅34% or 0.4% of total) were related to seal issues, air leaks, water damage, and possible moisture damage. 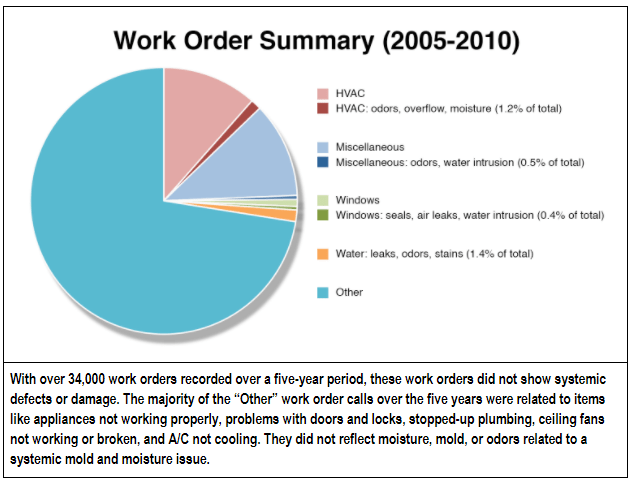 The percentages of work orders that related to mold, moisture, odors, and damage were small, ranging from 0.4% to 1.4% of the total number of work orders. In this case, this low number would not have been sufficient to allow for the property manager to identify systemic problems such as what were ultimately found. There was no visible evidence of damage to the exterior of the building. One important type of work that occurs on student housing properties with varying degrees of frequency are special orders and projects. Usually this work is performed by outside vendors, not by the property engineering staff. Often, if not always, this work is not a part of the work order process. As such, this work does not become part of the work order “story”, and may not be tracked or reported to management effectively. At this particular property, when special work occurred, areas of the building were exposed and the vendor completing the work did get a view of the underlying damage (and by extension, defects), like mold impacted and deteriorated wood structure from water intrusion. However, because this work was primarily viewed as a one-off event by the property engineering, and because it was performed mostly by outside vendors, there was poor feedback within the property management organization, and the potential of significant, systemic, repeatable problems was not obvious. Nothing visible in the interior of the building would have indicated a property wide systemic mold, wood deterioration, and water intrusion problem. As is the case with many student housing properties, this property did undergo a summer “turn” (turnover) of its units. The property management firm had each unit cleaned and refreshed in preparation for the next school year by an outside vendor. Often the time period of the turnovers can be as little as two weeks, which means the scope of work gets completed very quickly by the vendors, without significant consideration of potential underlying widespread damage that may be present. It helps that property managers conduct quarterly inspections of the apartments and individually leased bedrooms, but often the inspectors are not allowed to disrupt furniture (or even window coverings) during these inspections. As such, areas that would normally be the first place a widespread and repeatable water intrusion problem would manifest itself are not observed by the inspector, such as the interior window surround and at the base of exterior walls. During turnover, these conditions get covered up very quickly by cleaning and painting, and never get exposed to the management firm internally as a potential problem. Acquisition of a property, or even a series of properties because you may have acquired another firm, needs to be undertaken carefully. This includes assessing the portfolio building types and age, as well as their geographic location and the propensity for water problems, and then predicting the risk level that those buildings would have for hidden problems. Due diligence at purchase needs to include inspections for water intrusion specifically, and by a specialist, not just a generalist. This may include cutting holes to conduct an inspection of hidden damage and defects. Conduct a peer review of the drawings for any new buildings acquired. There are commonalities in certain building types that can help predict the potential of underlying problems. Conduct an analysis of not only work orders, but also all other work (even those that appear to be one-off events) to identify if there is evidence of hidden damage and problems. Perform surveys of high-risk areas for potential water intrusion and mold problems during annually planned work, including turnover. These surveys could show problems that otherwise would be covered up by turnover work. Advise your client in interim and annual reports of any problems found, indicating that more investigation may be required to fully determine the extent of the problem.